Labor Day not only reminds us of the struggles American workers endured throughout history, but also of the ongoing struggle for fair wages in Florida, and across the country. Wages are simply too low for many families to afford the bare necessities. The Raise the Wage and Fight for $15 campaigns exist to bring attention to the problem of low wages― a leading cause of poverty. The call for a $15 minimum wage is often met with a mixture of fear and excitement from workers and businesses alike who are concerned about the impact of the wage hike. Trust me, I know the feeling! As the owner of a small business in Seattle, we have just recently begun incrementally raising our minimum wage to $15 an hour. Here at Molly Moon’s Homemade Ice Cream, we are embracing the changes and are excited to see how a supercharged economy will impact our business. Raising the minimum wage means hundreds of thousands of people in our city now have more money in their pockets. More people can now afford to buy an extra scoop or two of their favorite flavors, or maybe even visit one of our six locations and try us for the first time. 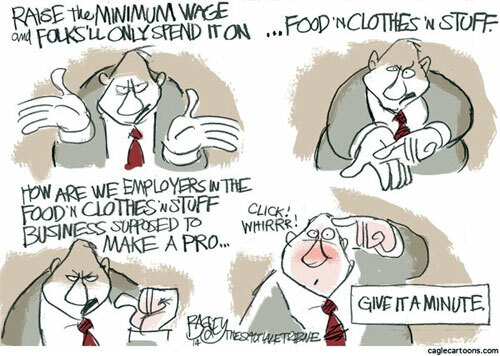 Raising the wages of the lowest paid workers creates a wave of new consumers who previously weren’t able to spend money at local businesses. Working long hours at multiple jobs doesn’t leave much time for low wage workers to get out into their community or spend time with loved ones. Families struggling to make ends meet can’t afford the luxury of taking their children out for ice cream. Now that Seattle businesses are paying a living wage, I look forward to seeing new customers in my shops and welcoming new fans of our ice cream. 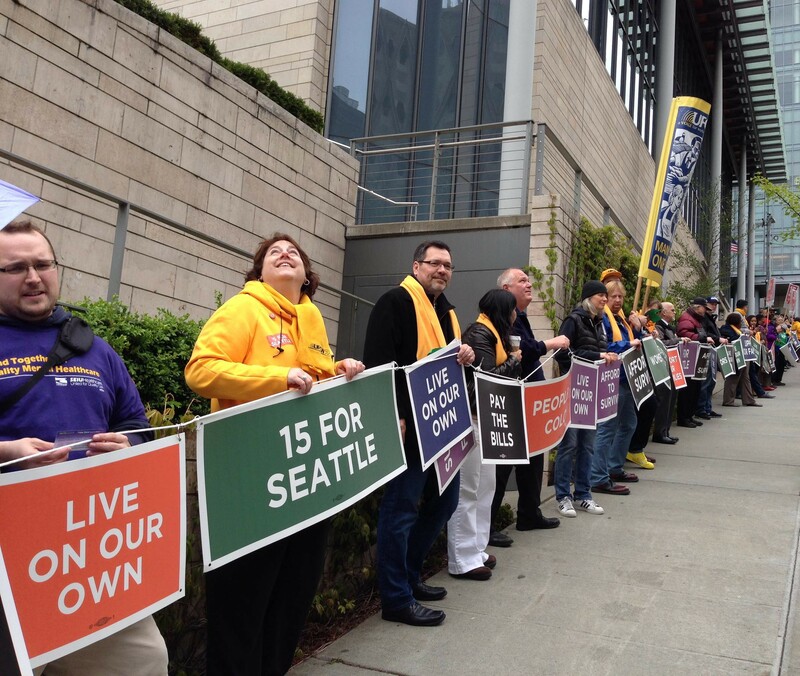 Critics of Seattle’s wage increase suggest it’s too soon to tell what the economic effects might be. My experience with Molly Moon’s though has made me believe that the impact will be positive. Molly Moon’s has a track record of paying living wages that goes back to when I opened my first shop in 2008, and wrote my business plan to include this as a priority. In 2013, I raised the wages of all of my non-tipped workers to at least $15 an hour. I wanted to show my support for the grassroots organizers fighting for the wage increase, and also ensure that all of my employees were earning a fair wage. So a $15 minimum wage is nothing new here at Molly Moon’s. Yes, I saw an immediate rise in my payroll costs, but the benefits came just as quickly. I have some of the most loyal and enthusiastic employees an owner could ask for, and turnover is much lower than average for our industry. Lower turnover means I save money on employee acquisition and training, but more importantly, it means I have dependable employees I can trust. You can’t put a price tag on that kind of relationship. The best advice I can give to business owners is to be as aware of the benefits of raising the minimum wage as you are to the challenges. Short-term increases in costs will balance out as customers begin to see a boost in their expendable incomes. The campaign to raise the wage is a campaign to strengthen your local economy and put more money in the hands of your customers and employees―your most valued assets. Molly Moon Neitzel, owner of Molly Moon’s Ice Cream in Seattle, and member of the Main Street Alliance of Washington. You can find out more about the Main Street Alliance’s Florida affiliate on Facebook at The Main Street Alliance of Florida.